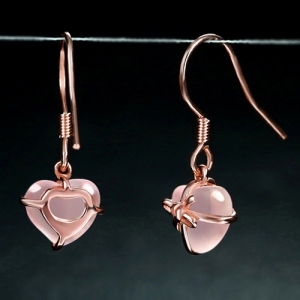 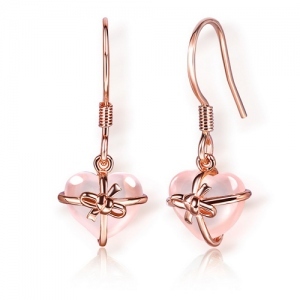 Add some romance to your everyday ensemble withour Sparkling Pink Heart-Shaped Gemstone Bow Rarrings . 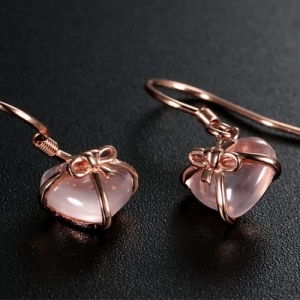 They're crafted in sterling silver and gemstone for a glamorous look and feature a lovely heart design to let the world know what's important to you. 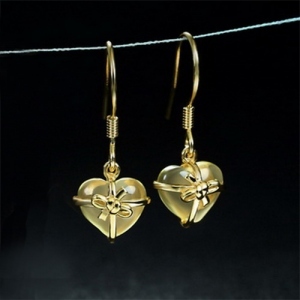 These earrings have a hassle-free leverback clasp that provides a secure, comfortable fit and allows for easy on and off. They're on the smaller side for those who prefer subtler, more lightweight jewelry and also work wonderfully as a birthday gift, a Valentine's Day surprise or just a romantic gesture for that special someone in your life.